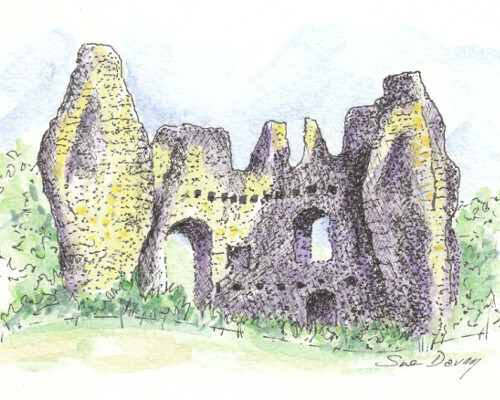 Odiham Castle was built by King John as a secure and convenient stopping place. He set out for Windsor from here on 10th June 1215, agreeing the Articles of Barons at Runnymede that same day. River, wide moats and marsh added protection to the tower of the castle and its strength was proven in 1216 when a tiny garrison resisted siege by the French for 2 weeks. The castle is approached by lanes, footpaths and towpath – offering healthy walks from Odiham, North Warnborough or Greywell and nearby Newlyns Farm Shop Cafe. Picturesque High Street of Odiham boasts an array of restaurants and cafes as well as the beautiful church of All Saints – and a ‘Magna Carta Passport Office’.